This was Easter 1966 so . . . vintage Mrs. Claus! 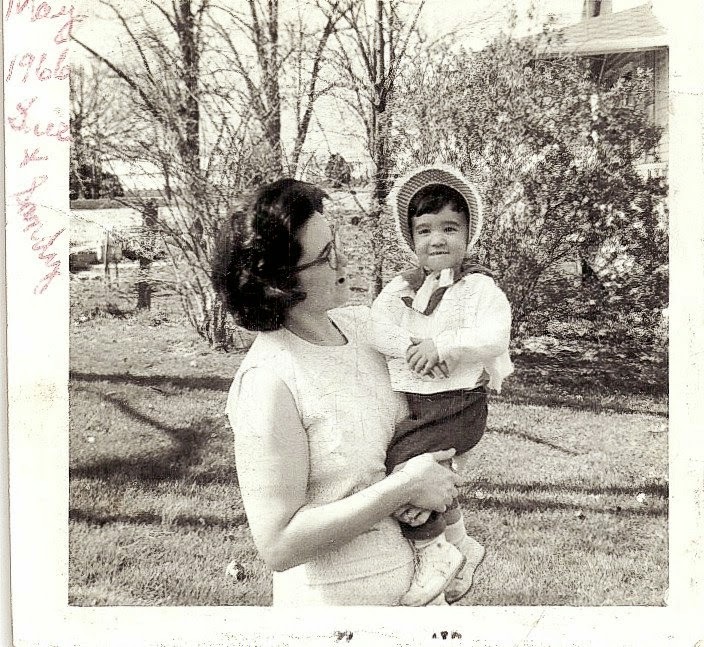 This is my mom holding me in my grandmother's yard. It may have been after church or before church, not really sure. After you stop laughing you can go ahead and link up your favorite black and white shots from this week! But don't forget we are doing a new photo every day in February as part of i heart faces photo challenge. So come back tomorrow and check out the photo for "love is . . . "
Such a lovely picture and a wonderful slice of history.